NEW ORLEANS - Jennifer Beougher, a former financial executive at Cracker Barrel Old Country Store Inc. and Bloomin’ Brands Inc., has been named the first chief financial officer of Ruby Slipper Restaurant Group. She starts immediately, according to a statement released by the New Orleans-based restaurant company. Beougher (left) was most recently the vice president of financial planning and analysis at Cracker Barrel. While at Bloomin’ Brands, the parent company of Outback Steakhouse, she held several positions, including senior director of financial planning and analysis. 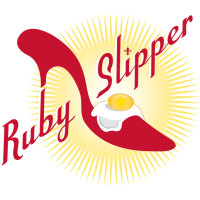 She joins Ruby Slipper as the company accelerates growth and launches a new concept. Ruby Sunshine, which features Ruby Slipper's all-day brunch menu of New Orleans-inspired fare, will open its first two Tennessee locations - in Knoxville and Franklin - this year. Another Ruby Slipper Café is slated to open in Metairie, in early 2020. The brand already operates 10 restaurants throughout Louisiana, Alabama, and Florida. “Helping to shape the future of an iconic New Orleans company was an opportunity that I just couldn’t resist,” Beougher said in a statement. Erich and Jennifer Weishaupt opened the first Ruby Slipper Café a decade ago in a Mid-City neighborhood that was devastated by Hurricane Katrina. The husband and wife duo helped revive the neighborhood by attracting a following who fell in love their famous menu of New Orleans-inspired brunch and lunch specials. In 2017, the original location closed and relocated to a larger space in Mid-City.